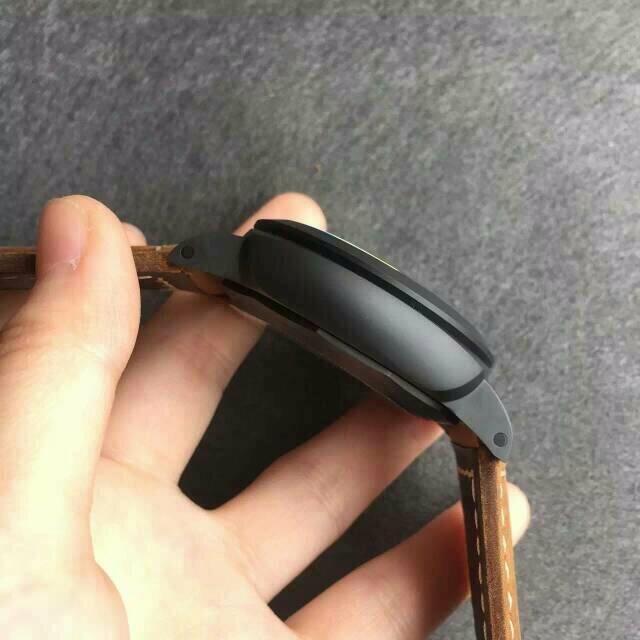 It is a long time not to post here, I have a lot of orders to process in recent days, so a little busy. 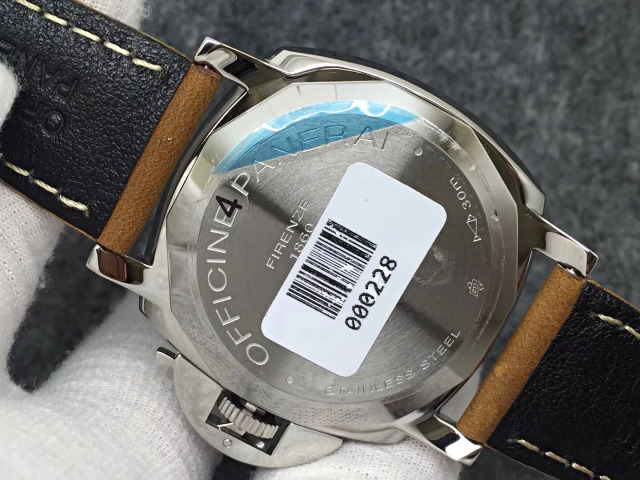 And because it is nearly the end of this year, some “spies” are patrolling every corner of street in our watch market, some factories or shop owners have been seized because of manufacturing or selling fake watches. 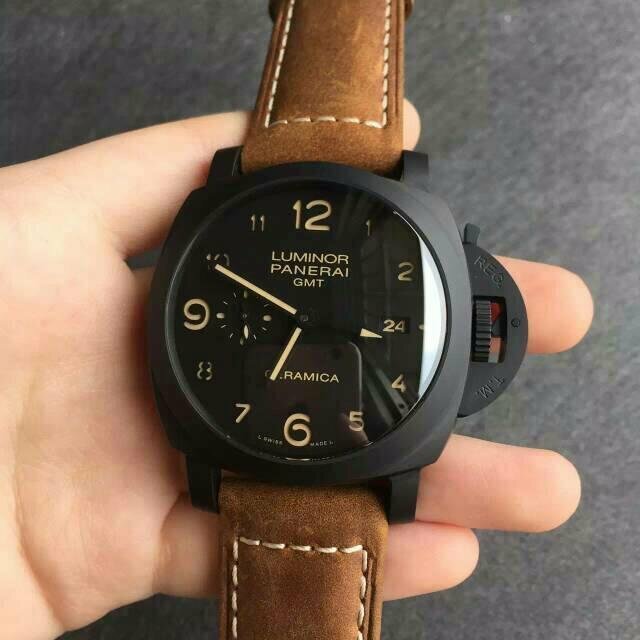 So in these sensitive days, it is a little difficult to get watches from the market, but for me, who have been contacting with the factories directly for several years, still could get you guys the best replicas in a short time. 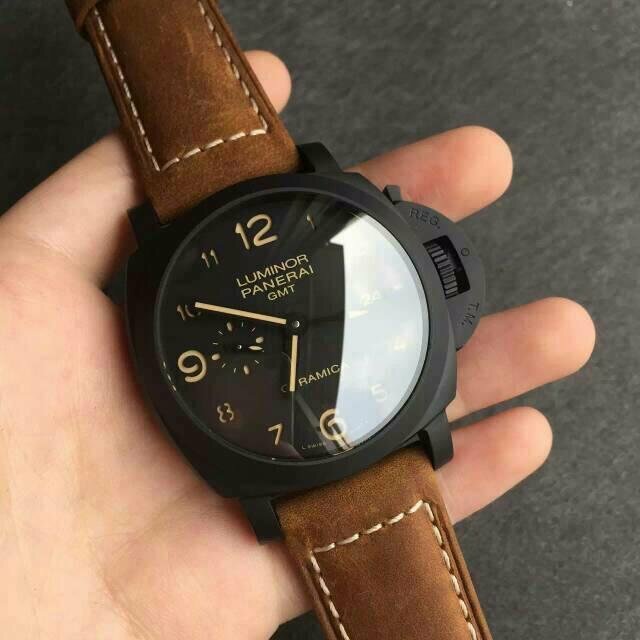 Today, I will introduce another ultimate replica that was just published by KW factory, it is the fourth time which the factory has improved this replica PAM 441, so we called it V4. 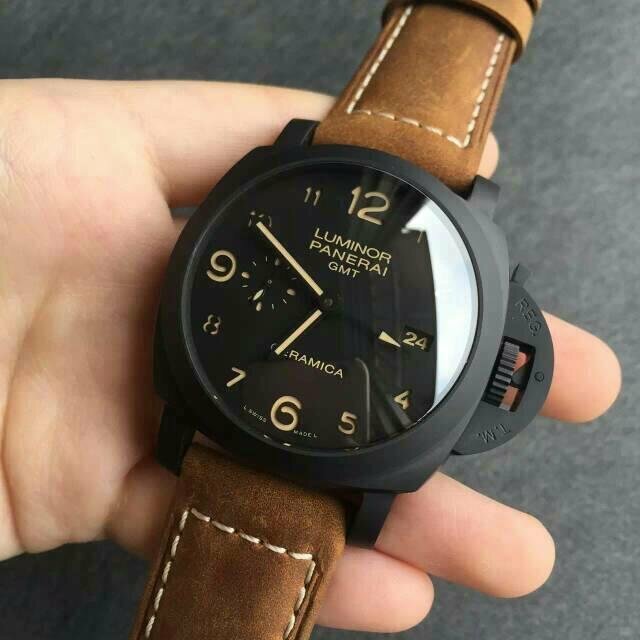 It is currently the best PAM 441 in the market. 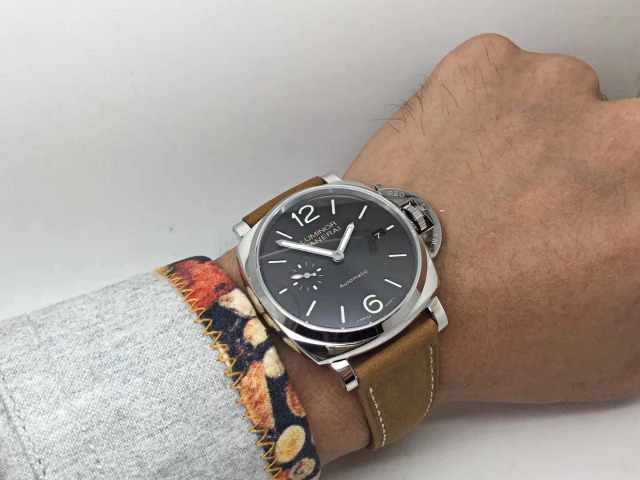 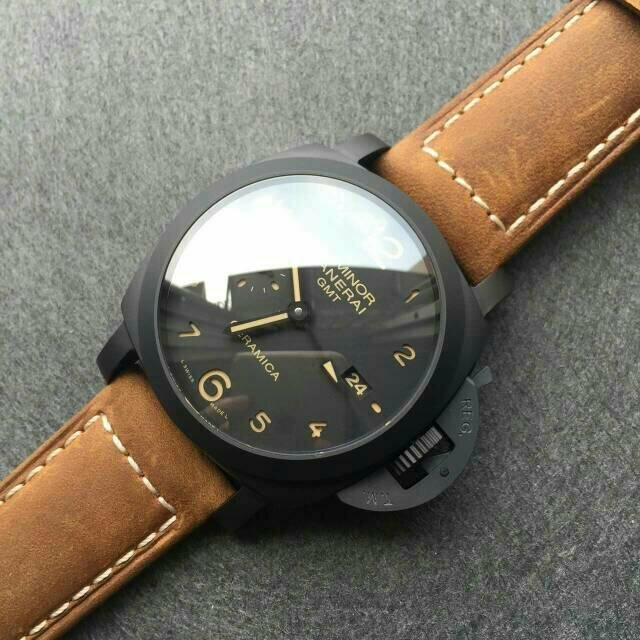 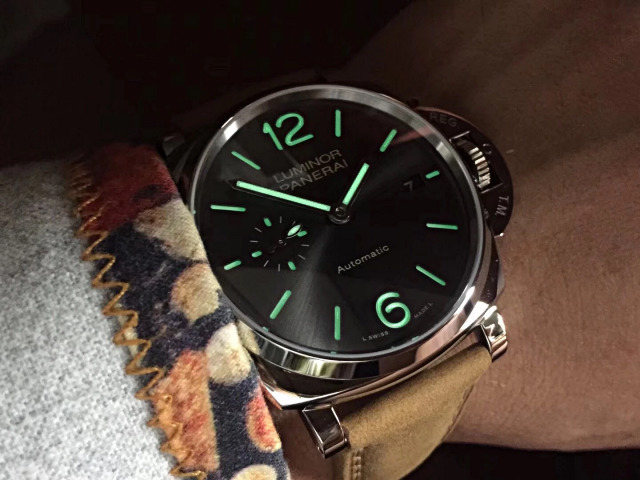 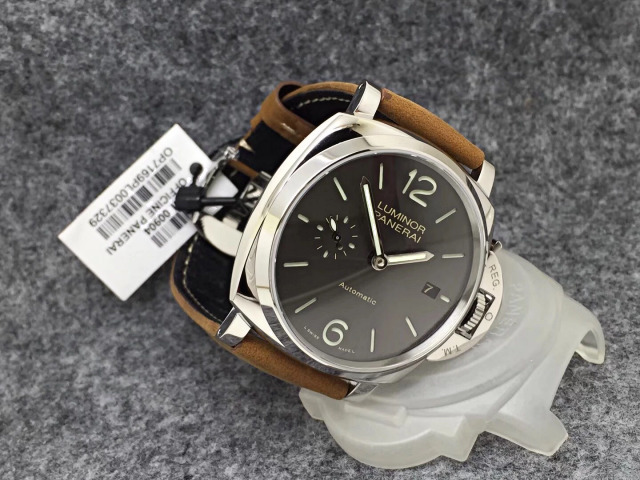 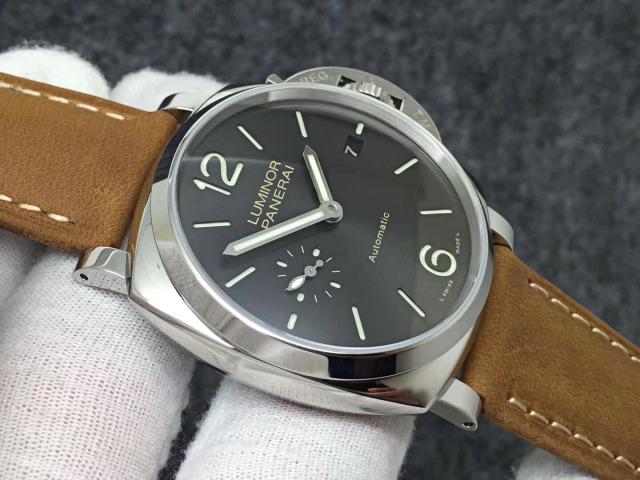 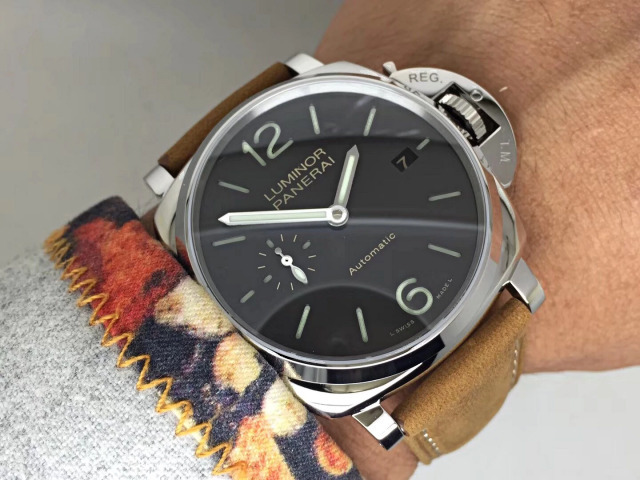 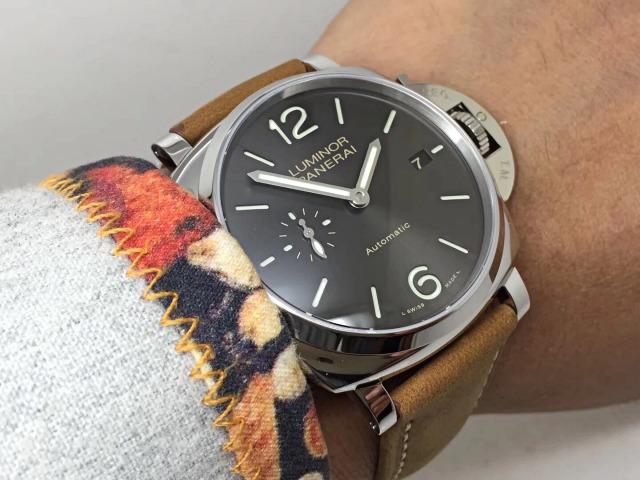 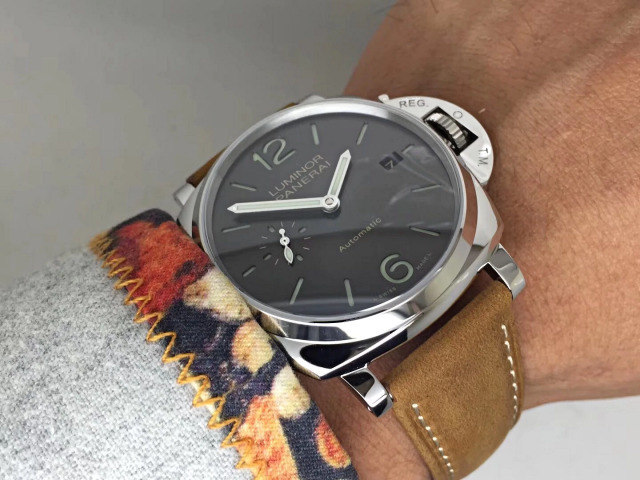 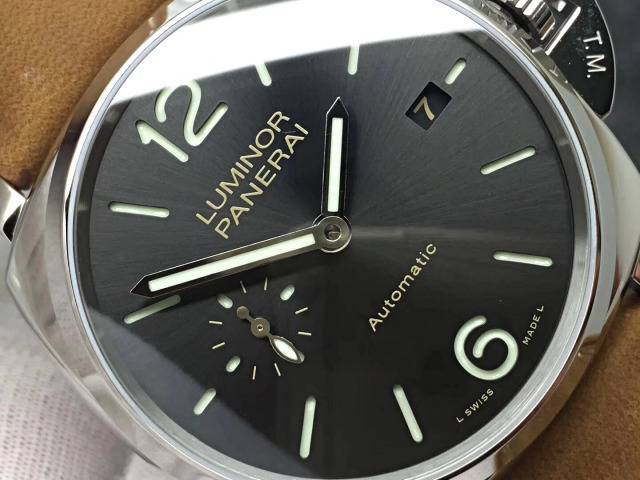 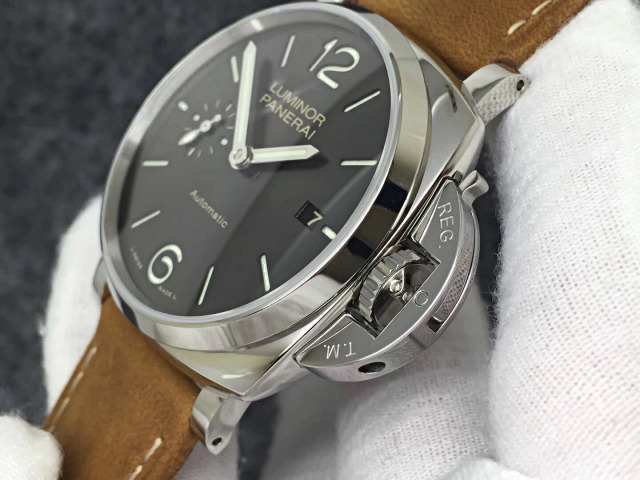 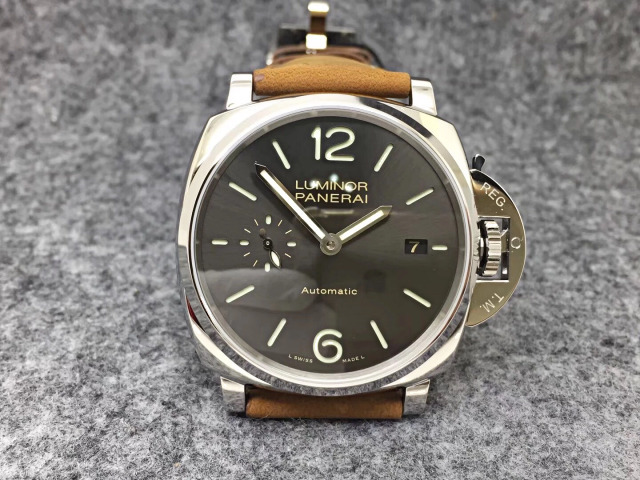 Actually I have give a full review about PAM 441 is this post at http://www.wristwatchspot.com/2015/08/18/kw-panerai-pam00441-ceramic-watch-replica-review/, which is a comparison review of PAM 441 between KW version and other versions from small factories. 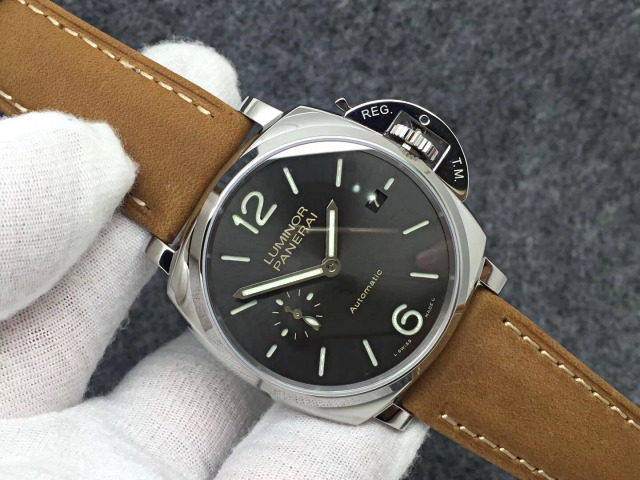 Here is an extended post to give a detailed introduction of KW PAM 441. 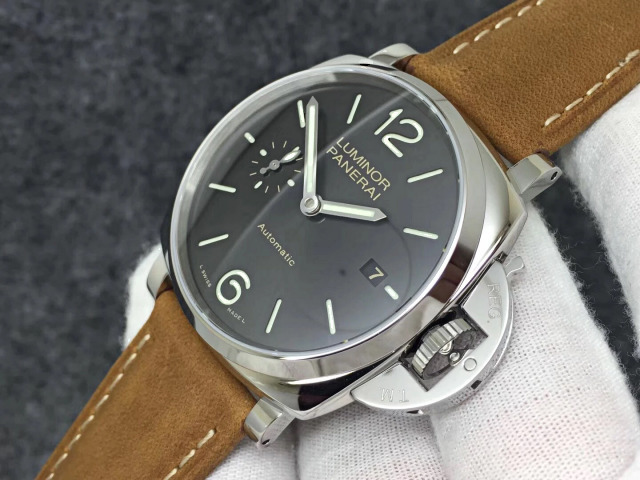 PAM 441 is the best GMT watch I like, it is also the first Panerai GMT watch that is best replicated. 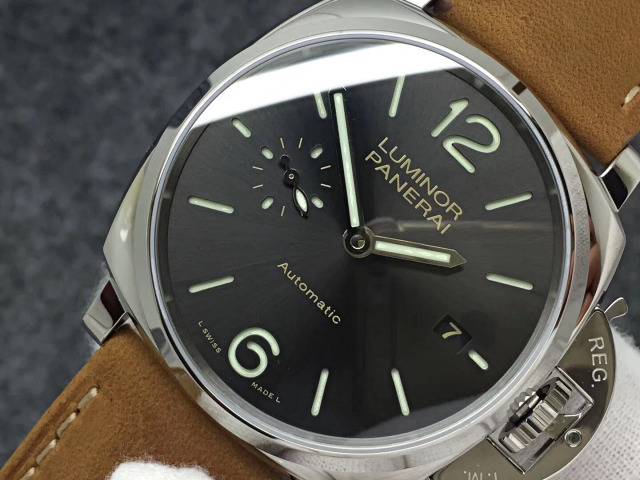 Besides it, there is another Panerai GMT watch that is loved by many people, that is PAM 438, which is a full ceramic watch. 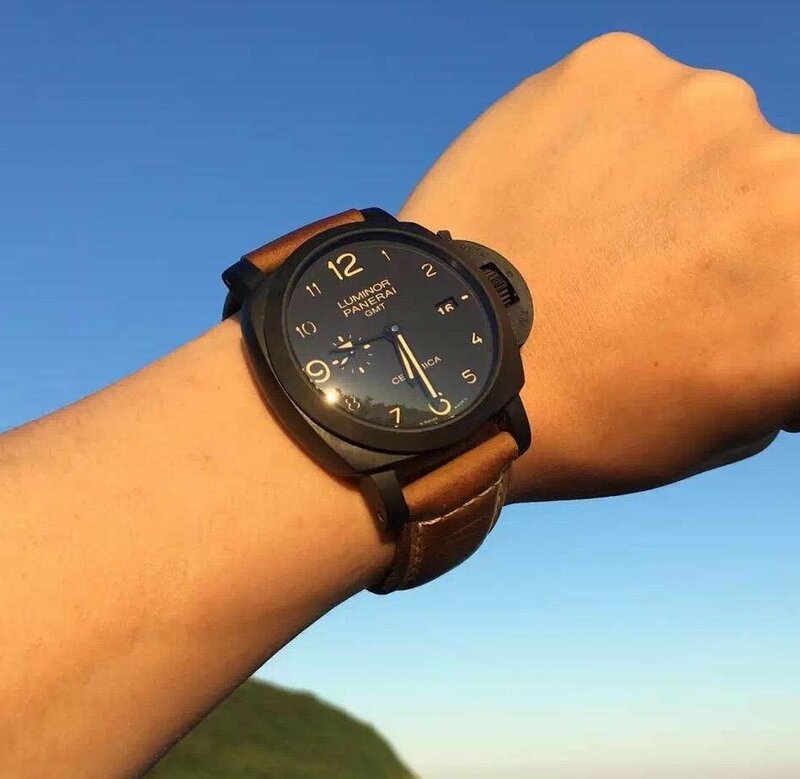 The case of V4 KW PAM 441 replica uses metallic ceramic, which is the same as genuine, this case material has a great hardness that is very close to diamond, and it also has a good scratch-resistant performance. 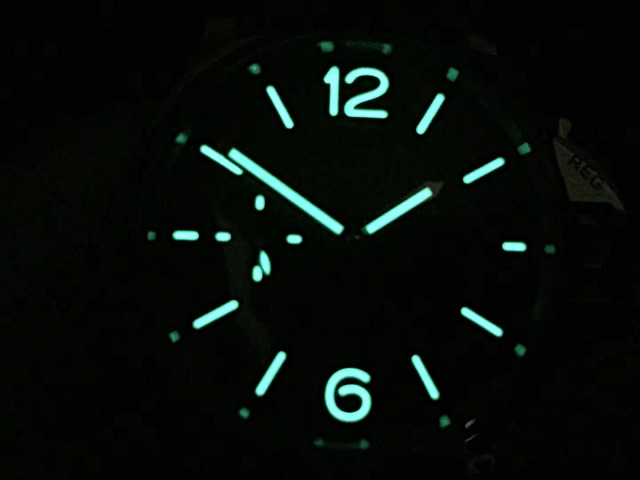 Black dial uses sandwiched structure, the disc above has hollow out hour markers, the layer at bottom has SuperLuminova C1+C3 being applied. 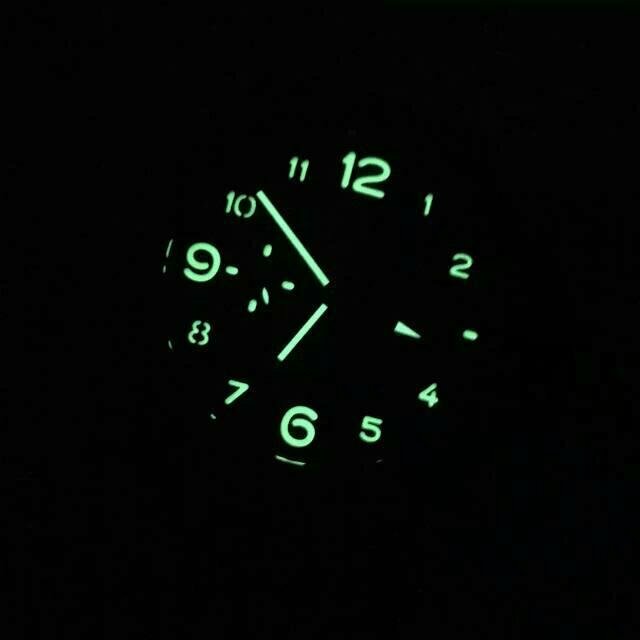 So the whole dial gives a good lume effect, which is super green. 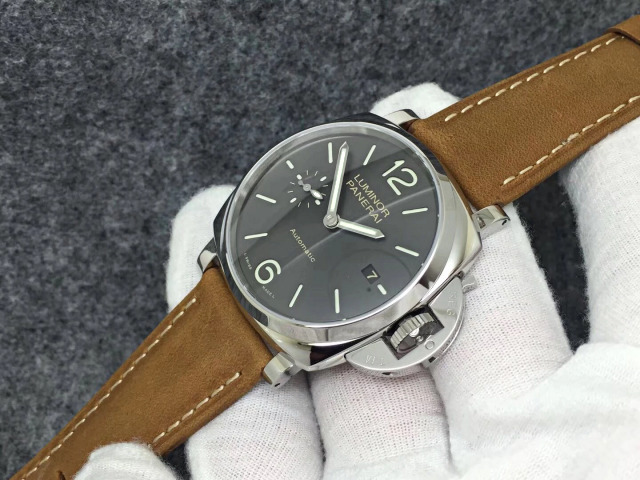 The GMT hand is working, you can adjust its position through the crown. 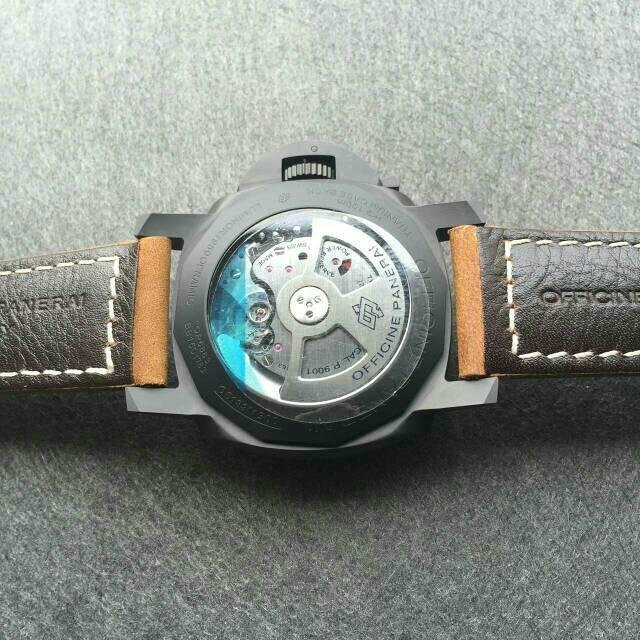 The movement displayed through the crystal case back is a clone P.9001 calibre. 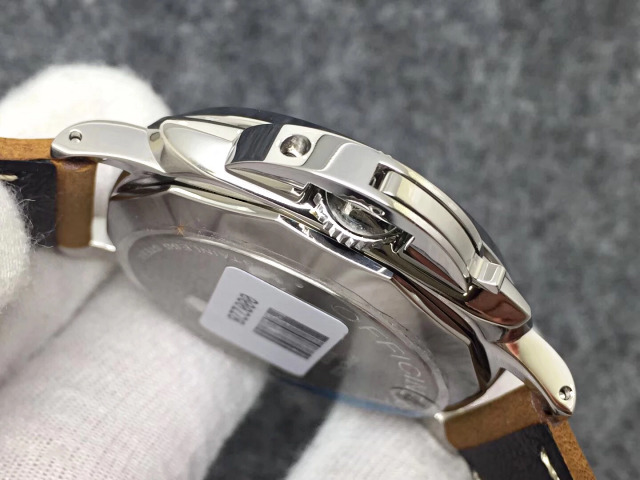 When you see such movement for the first time, you will not believe how close the replica movement is to genuine. 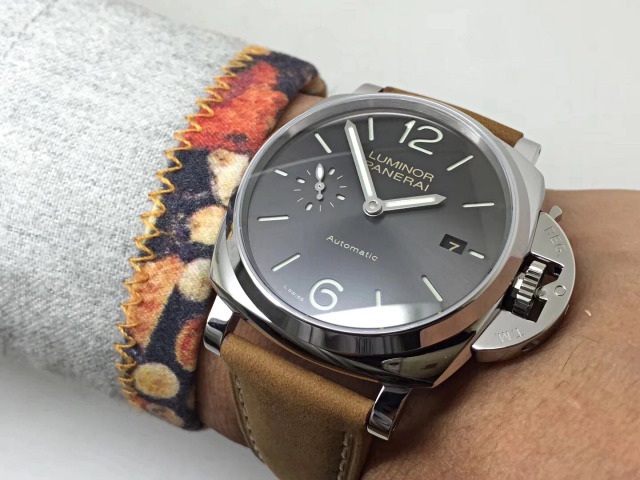 Those blue engravings and rose red jewels will all attract you. 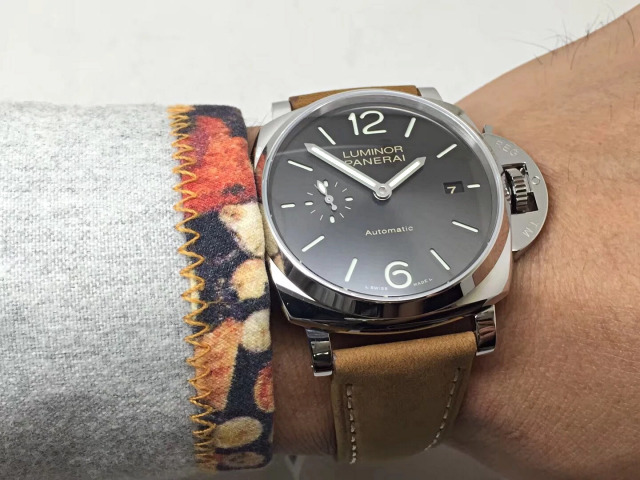 This movement guarantees the inaccuracy is within 7 seconds every day. 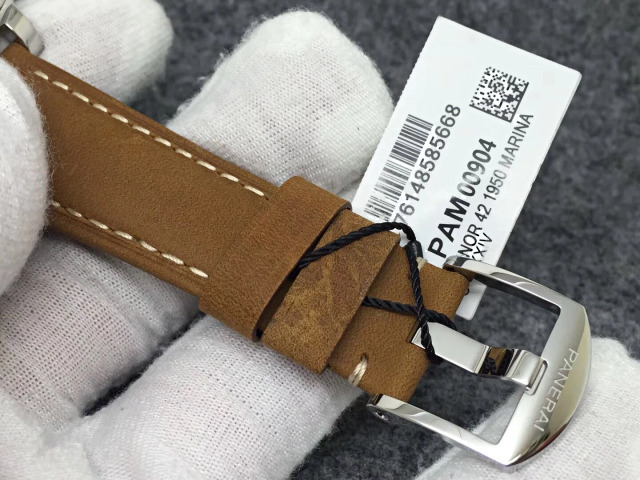 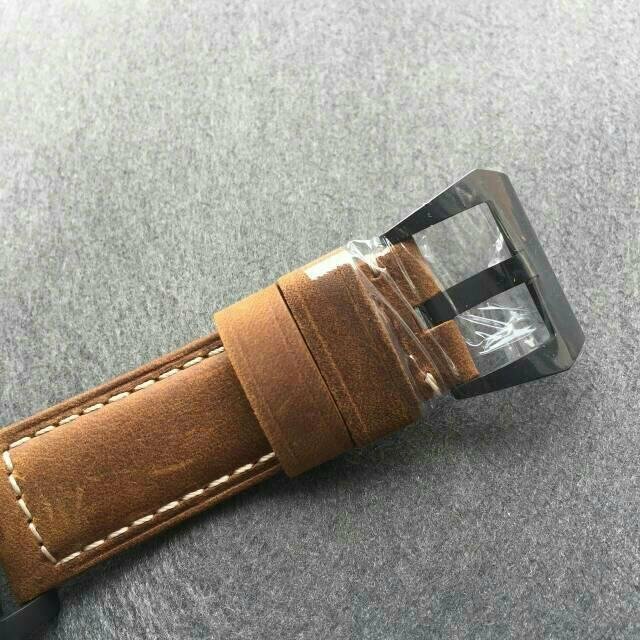 About the strap, it is the style I like, ASSO leather strap in a little brown color, the band is a little hard but it is very durable, however, I will love it more if the factory had added a little distressed style. 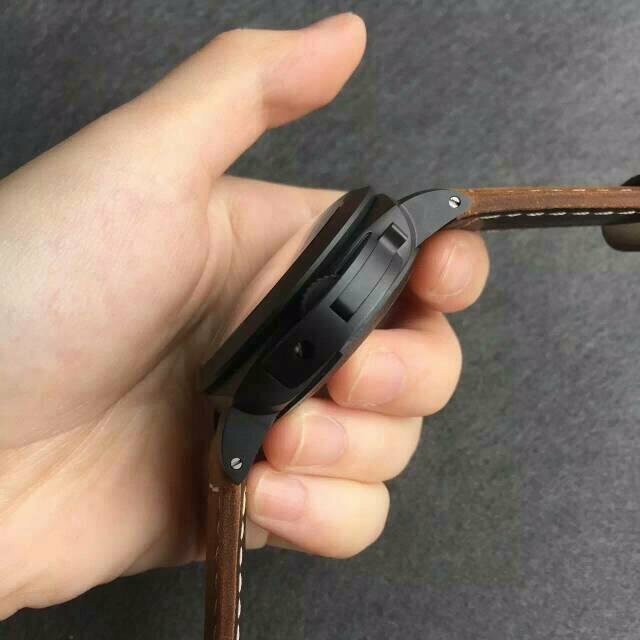 There will be one pair of black rubber strap shipped along with the watch. 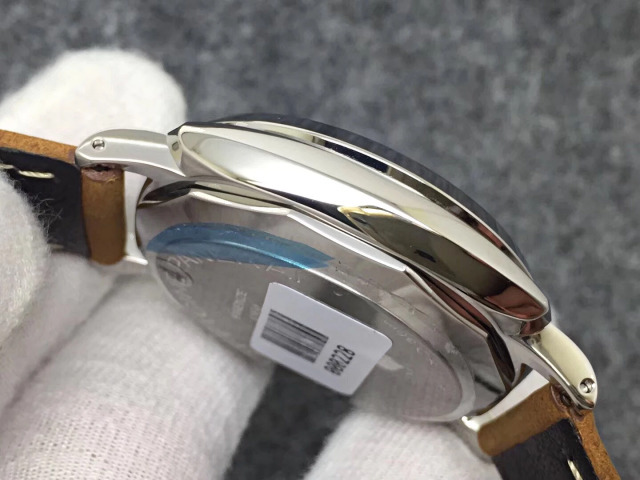 Finally, I must say this watch is completely a 1:1 replica from outside to inside.